Toronto is famously tough on the skin with winters that seem to drag on with no end and summers so hot you can fry an egg on the sidewalk. This harsh environment has the effect of speeding up the aging process as well as the development of wrinkles. As such it’s crucial to do whatever you can to offset the negative effects of cold, snow, wind and sun. Women often come to us with questions about the anti-aging facial in Toronto such as: “What is it?” “How does it work?” “Will it help stop wrinkles?” And “When should I start having anti-aging facials?” In this post we’ll address these questions. 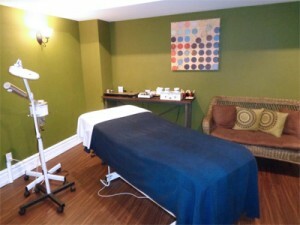 Without further ado let’s answer some of the most common questions we’re asked about the anti aging facial in Toronto. What is an anti-aging facial? – While there is more than one type of anti-aging facial most employ various techniques that have shown themselves to be effective in reversing age and environment-related damage to the skin of the face. Some will employ serums, others collagen creams and lotions while others will employ facial massage in concert with techniques such as light therapy and microdermabrasion. How does an anti-aging facial work? 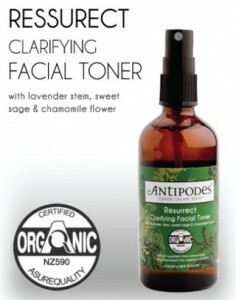 – An anti-aging facial is designed to work through a combination of exfoliation (the removal of dead skins cells), moisturization and other techniques (including, in some cases, massage) that are designed to improve moisture retention and circulation throughout all layers of the skin. Regular anti-aging facials will often negate the need for Botox or face lifts. Will an anti-aging facial stop wrinkles? – There is no treatment on earth that will prevent the development of all However, regular anti-aging facials will prevent small wrinkles forming and slow down the process of wrinkle formation in general. Wrinkles come about as a result of exposure to the sun, improper hydration, weather and poor circulation in the lower layers of the skin. An anti-aging facial will address 2 of those conditions while sunscreen and shielding your face in severe weather will help with the other 2. “When should I start having anti-aging facials?” – The aging process takes hold in earnest in our late 20s. At that time the skin’s ability to retain moisture and produce adequate amounts of oil begin to diminish which causes lower layers of the dermis to harden. This in turn creates permanent lines, or wrinkles. The accumulated effects of sun exposure and weather also begin to show in our late 20s. Ideally one should start receiving anti-aging facials at this time to maximize their effectiveness, though it’s never too late to start. We hope you found this information helpful and urge you to call the Urb Organic Spa on 647-344-7451 if you have any questions or would like to make an appointment for an anti aging facial. Toronto takes the fight to your skin. Fight back with a trip to Urb Organic Spa. It’s our face that defines us. Our face that identifies us. Our face that communicates our thoughts, moods and feelings. The face is also the part of the body that takes the most abuse from Mother Nature as it’s one of the few parts of the body that is exposed to the elements for most, if not all, of our life. Because the face is so important and because it’s also the recipient of nature’s worst it needs to be properly taken care of in order to avoid it sinking into disrepair. While diet and things like sunscreens are important aspects of skin maintenance facial treatments also play a key role in keeping the face healthy and vibrant. While dermatologists and estheticians agree on the value of facial treatments there is no consensus regarding which type of treatment is best. It really comes down to the individual characteristics of a person’s skin. Below is a list of various popular facial treatments and what each brings to the table. Exfoliating scrub: Chances are you know something about the value of exfoliation where dead skin cells are removed so that new, healthy ones can emerge. When done by a professional exfoliation can reach deeper into the skin than most home treatments because the esthetician is properly trained and knows when to pull back before causing irritation. Peels: Peels are a type of exfoliation that will provide the highest level of cleansing while minimizing troublesome blemishes and reducing acne. Be aware however, that different types of skin require different types of peels. For example, if your skin is unusually dry you may want to opt for a pumpkin peel while oily skin may require something more intensive. Masks: Masks are typically applied after exfoliation to aid in toning. Clay masks have been popular since the days of Cleopatra and remain a reliable means of detoxifying the skin and removing excess oil. The AFA gel and clay peel facial treatment in midtown Toronto at Urb Organic Spa will restore natural balance and tone to your skin. Serums: Serums help reduce fine lines, promote elasticity and restore skin to its youthful, taut appearance. They do this by helping to keep the skin properly hydrated and the skin cells properly nourished. Serums have also shown an ability to minimize fine lines and prevent the formation of wrinkles. Extraction: If you’re like most women you likely spend time in front of the mirror on search and destroy missions for blackheads. While this is understandable it should be remembered that the method you use to extract them will influence if and how they return and what marks (if any) they’ll leave. Professional extraction utilizes best practices to remove blackheads without causing infections or scarring. The professional estheticians at Urb Organic Spa provide the most comprehensive and effective facial treatment in midtown Toronto. Call us on 647-344-7451 to make an appointment and learn more about the many benefits of having a first-class facial treatment in midtown Toronto. There are any number of skin treatments on the market today that claim to rejuvenate your skin but precious few that actually deliver on their promise. One of those that does is the AFA gel and clay peel. The AFA, or Amino Fruit Acid peel exfoliates dead skins cells without causing unnecessary irritation or aggravating dry skin. An AFA gel peel from Urb Organic Spa will make your skin feel noticeably younger and more vibrant. It is in many ways a revolutionary system that’s both low impact and highly effective. Younger feeling skin: When your treatment is complete your skin will breathe the way it was intended to for perhaps the first time in years. Pores will be unclogged and the surface will be smooth and supple. Moisture retention will be increased as will firmness and minor blemishes will be reduced or eliminated. Elimination of blackheads: Blackheads are one topic everyone is aware of but no one wants to discuss. Blackheads are the result of a variety of pollutants that are part and parcel of living in the city. Happily, after your AFA gel and clay peel, any discussion you have about blackheads will be about how your gel and clay peel eliminated them. Stronger skin: Your AFA gel and clay peel at our spa in midtown Toronto will provide you with healthy, clear, supple skin that is, perhaps ironically, stronger skin as well. It’s better nourished, better able to stand up to wear and tear and won’t provide a hiding place or launching pad for ruinous bacteria. Bacterial protection: Speaking of bacteria; many types of bacteria can be found on the average face and, if given even the tiniest cut to work with can cause all manner of trouble. Your AFA peel will remove harmful bacteria from your face thereby helping to prevent a range of potential problems. More lustrous skin: An AFA gel peel will generate noticeably more radiant skin that seems to glow. Your complexion will take on a decidedly tighter appearance that’s both smooth and firm. And because your AFA gel peel is so gentle there will be no residual redness or dryness. Reduction in unwanted hair: While a gel and clay peel is not the equivalent of laser treatments repeated applications can be effective in removing small, unwanted hairs from the face and preventing them from returning. An AFA gel and clay peel from Urb Organic Spa in midtown Toronto will be the kind of experience you’ll tell your friends about. You’ll look and feel healthier and more youthful and the experience won’t clean out your bank account. Give us a call on 647-344-7451 to find out more about this amazing skin rejuvenation procedure and to schedule an appointment. Most of us have those days when we catch a glance of ourselves in the mirror and wonder what on earth has happened to our face. Eating the wrong foods, not drinking enough water, exposing our skin to the polluted atmosphere in large cities, letting ourselves get stressed out about small worries, and just not taking the time to follow an effective skincare regimen can all result in our faces looking a few years older than we would like. An anti-aging facial is one way to tackle the problem but you need to make sure you are going to get the treatment you really need before you make a booking with a local beauty spa. Ask your beautician the following questions before you make an appointment for a facial, to make sure it will have the desired effect. Is an Exfoliating Peel Included? – A gentle exfoliating peel can remove dead cells from the surface of your face, leaving you with skin that glows with health and vitality. If you are going to have an anti aging facial in Toronto, you should make sure that it is going to include an effective peel. Are You Fully Qualified and Experienced? – This is a question that may cause offence, but only if the beautician to whom it is posed does not have the necessary qualifications and experience to administer a facial properly. If you are dealing with a highly skilled professional, they will be more than happy to answer your question and will understand your reasons for asking it. Will a Massage Be Part of the Treatment? – A firm massage can improve circulation in your skin and help to ensure that it is well hydrated. Both of these benefits are desirable when having an anti aging facial in Toronto so you should definitely make sure that a massage is included as part of the treatment before you make your booking. How Long Will the Treatment Take? – An effective facial that tackles the signs of aging should take a couple of hours to perform. If you are offered a much shorter treatment option than this, the chances are it will either be ineffective or it will involve the use of chemicals that you might not want on your face. Do I Really Need This Type of Facial? – This is a question that a professional beautician will only be able to answer when you visit them but it is worth making the time to drop by and discuss your options, just in case there is another type of facial that may be more appropriate for you. Please do not hesitate to call if you would like to find out exactly what an anti aging facial in Toronto involves or you would like to make an appointment to visit our spa. 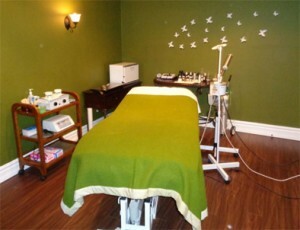 We specialize in high quality organic treatments that are kind to your skin and very effective too. 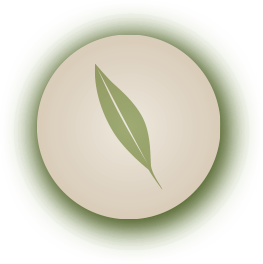 Given the wide choice of health and beauty spas that can be found in the GTA, you could be forgiven for wondering why you should choose to visit Urb Organic rather than one of our competitors. Although we freely admit there are many other excellent facilities in the area, we believe we have something special to offer our clients, as outlined below. After reading our list, we hope you will agree that we truly are a little different from the rest. Before you make a booking to visit any other beauty and wellness centre in the city, take a look at the benefits we have to offer our clients. A Relaxed, All Female Environment – We are not prejudiced in any way but we understand that some women simply can’t relax and fully enjoy their beauty treatments when there are men in the vicinity. If you prefer a women-only environment, we are the obvious choice. High Quality, Organic Products – As you may already have guessed, we specialize in beauty treatments that utilize organic ingredients. We believe the path to inner and outer beauty lies with natural products and not harsh chemicals, which often have the opposite effect to that which is desired. Fully Qualified and Experienced Professionals – Every member of our team is a highly trained professional with years of experience so you can relax and unwind completely when you visit our tranquil spa in Toronto, safe in the knowledge that you could not be in better hands. Regular Promotions – The bargain hunter that lives inside every woman will appreciate the special deals that we offer on a regular basis. Furthermore, although we may reduce our costs, we never lower our standards, so you can book a special promotion with complete confidence. Special Treatments – In addition to the standard beauty treatments you may be offered at any spa in Toronto, we provide several special options that you are sure to love. The eDermastamp procedure is available at Urb Organic, a treatment that stimulates the growth of new cells and collagen formation in the skin, as is the Steamy Wonder, a patented heat circulation design with benefits that include weight loss, detoxification, and stress relief. Totally Relaxing Massage – After your beauty treatments have been completed, we can provide you with a neck, shoulder, and scalp massage that will send you on your way in a state of complete relaxation. A Holistic Approach – We consider the effects that various treatments will have on the whole of your body before making any recommendations, ensuring outstanding results every time. If you have been looking for a spa in Toronto that is a little out of the ordinary, a place offering you something unique that you will not find elsewhere, Urb Organic is for you. Call us on 647 344 7451 to make a booking: we look forward to taking care of all your needs in the near future. You have undoubtedly heard of a detox facial before, but do you know what it actually does to your face? Has anybody ever taken the time to explain the various benefits that you can look forward to when you book yourself in for this type of treatment in a local beauty spa? If they have not, you can find out exactly what you have been missing out on by checking out our list of benefits below. We are sure you will agree that there are many excellent reasons to book yourself in for a treatment at the earliest opportunity. Take a look at the following benefits and book yourself in for a treatment as soon as you have a couple of hours to spare! Alleviates Overproduction of Sebum – Your skin produces sebum to keep itself hydrated but when it goes into overdrive, it can result in blocked pores, or blackheads as they are more commonly known. Treat yourself to a relaxing detox facial in Toronto and you can wave goodbye to these unsightly blemishes on your skin. Removes Toxins and Excess Oil – Oily skin is a problem for many women today and can be caused by a number of factors, including pollution, cosmetics, and stress. The excess oil and toxins in your skin will be removed during this treatment, leaving your face looking and feeling healthier than ever before. Oxygenates Your Skin – Oxygen promotes healing and the production of collagen, making it an important ingredient for healthy skin. When you have a detox facial in Toronto, your face will be oxygenated through the application of a gel containing natural ingredients that are designed to raise your body heat and improve the flow of blood to the cells near the surface of your skin. Repairs Damage from a Poor Diet – Eating the wrong foods and drinking more alcohol than is good for you may be something that you only do on occasion but when you do, it can take its toll on your face. If you have strayed from a healthy diet recently, you can book a facial to remove the impurities in your skin that have accumulated as a result. In conjunction with a return to a healthier way of eating, this detoxification of your skin will ensure that you look and feel great once again. If you would like to enjoy all the benefits listed above, why not give us a call and book yourself in for a detox facial in Toronto today? After your facial, you may like to take advantage of one of the many other treatments that we offer or perhaps indulge yourself with a relaxing head, neck, and shoulder massage. Whatever treatments you are interested in, we would be delighted to see you at our spa whenever you have some time to spare. For further information on our detox facials, please feel free to call or email us at any time. If you want to book this type of facial at a local spa but you’re unsure what to expect, this short guide is just what you need. In it, we are going to take a quick look at what a facial of this nature will involve, whether you are visiting a local Toronto spa or one in another part of the country. Not every spa will follow exactly the same process but most will follow a similar pattern to that which you can see outlined below. 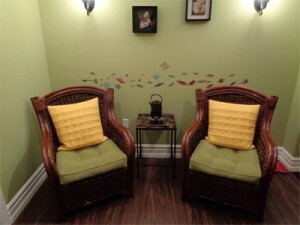 An Anti Aging Facial in Toronto: What Does It Involve? The steps below will be familiar to all beauticians and you can expect to experience most or all of them when you book this type of treatment at a reputable spa. Analysis – A good beautician won’t just plunge into the treatment: he or she will analyse the condition of your skin first. This analysis will provide them with the information they need to tailor your facial to meet the particular needs of your skin. Mechanical or Chemical Exfoliation – Depending on the condition of your skin, it will then be exfoliated, either mechanically with a specially formulated blend of ingredients or with a chemical peel. This stage of your anti aging facial in Toronto will be focused on removing the impurities that are present in your skin. Spot Extractions – If there are a number of blackheads or whiteheads still clogging your pores after the previous stage of the treatment, these can now be removed individually if desired. Some people may choose to skip this procedure as it could possibly cause damage to the skin. Massage – In order to stimulate your skin, the Toronto beautician who is giving you your facial will probably now massage your face. Application of a Mask – A mask, similar to those you can buy in local stores but of a superior quality, may now be applied to your face to condition the skin. Serum Application – Finally, you will probably have a serum, and possibly some other beneficial formulas, applied to your face. If you are interested in an anti aging facial in Toronto and would like to find out more about what is involved or to book a session, please call us on 647.344.7451 today. We have a great deal of experience with this particular type of facial and can put together a bespoke treatment plan for you if desired. If you have been planning to visit a local Toronto spa for some time, and have finally found a free day on which you can book yourself a session, this guide will help you to make the most of your visit. The busy lives that many of us lead nowadays mean that spa visits have become something of a luxury so it is important to take full advantage of everything they have to offer, while you have the chance. If you work in the city, the easiest place to arrange to spoil yourself will most likely be in a midtown spa. To make the most of your visit, follow the suggestions below. Do Your Homework – Before you book your visit, do some research online to see what sort of treatments are currently available and which local spas have the best reputation. You may well find there are a number of new treatments that you were not aware of and the best place to experience them for the very first time will of course be at a well-run spa. Prepare a List of Questions – To make sure that you choose the right spa and the right treatment options, make a list of questions to ask the places you are considering visiting, and ask them everything you can think of over the phone. By doing so, you will not only be able to ensure you visit the best spa in midtown Toronto, you will also be able to tailor your visit to meet your particular needs. Book Treatments in Advance – If you are going to be spending a whole day at a Toronto spa, you may think that you will have plenty of time to fit in all the treatments you would like to have. However, if you don’t book in advance, the beauticians who specialize in each treatment may not be free when you need them. Give Yourself Room for Manoeuvre – Don’t try to plan your visit to the last minute. Leave home or work early and make sure you arrive with time to spare. Nothing is guaranteed to spoil your mood as effectively as turning up late and feeling rushed throughout the day. If you would like to book a special visit to our spa in midtown Toronto, please call to discuss your requirements and we will organise the perfect day for you. You will almost certainly be familiar with many of the detox diets touted online these days but have you heard of a detox treatment for your face? If you have, do you know why it might be a good idea to book yourself in for one at your local Toronto spa? For those who may have answered no to one or both of these questions, we have written this short article, looking at five specific reasons you might decide to try this treatment in the near future. Could You Benefit from a Detox Facial in Toronto? Before you either dismiss the idea out of hand or reach for the phone to book a treatment session on a whim, take a look at the five reasons you might have for investing in this particular type of facial. Your Skin is Very Oily – Skin can become excessively oily for a number of reasons but whatever the underlying cause, it can be treated with a special detox for the face. This treatment is designed to remove the toxins and excess oils that build up in and on the surface of many people’s skin in the modern world. You Have Lots of Blackheads – Overproduction of sebum by the skin can lead to blocked pores, otherwise known as blackheads. Sebum keeps your skin hydrated but when too much of it is produced, problems start to occur. A detox facial in Toronto can help to alleviate these problems. You Have Been Overindulging – If you have been eating and drinking more than is prudent, both your body and your face could benefit from a detox. Your body needs to rid itself of the waste substances that have accumulated during your period of overindulgence and by detoxing your face at the same time, you can hopefully prevent any symptoms of overindulgence from appearing on your skin. You Have Been Neglecting Your Face – If you have been so busy that you have neglected your normal beauty routines, a detox facial in Toronto could be just the thing to restore your face to glowing good health. You Are Attending a Special Event – Whether it is a social or a business function, having a detox for your face could help to ensure you look your best on the day. 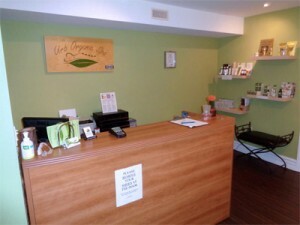 If you are in Toronto or the surrounding area, call us to make an appointment for your detox treatment today. Looking for a problem-free treatment that can help to rejuvenate your facial skin by infusing it with vitamins, anti-oxidants and moisture? That’s what the oxygen facial treatment at our spa in Toronto can offer you. In recent years the oxygen facial has grown in popularity tremendously, being adopted by numerous celebrities, such as Eva Longoria, Katie Perry and Naomi Campbell, who consider the treatment as an essential part of their routine prior to high profile appearances. But this isn’t a passing fad; the oxygen facial has a number of impressive benefits. What is An Oxygen Facial? An oxygen facial is essentially a fusion between state-of-the-art medical technology and the restorative relaxation that is traditionally associated with a spa setting. It’s a revolutionary new type of skin care treatment that utilizes high pressure bursts of oxygen to deliver a special type of serum containing extremely small quantities of hyaluronic to targeted skin areas. How Will an Oxygen Facial Benefit You? Youthful Looking Skin – This treatment hydrates your skin, smoothes the dermis, tightens the skin and also improves its firmness. This helps to lessen the impact of severe facial lines, smooth out wrinkles and overall give you a more youthful appearance. Immediate Results – After just a single session of 40 minutes you are likely to notice immediate effects, which is perfect if you have an important event or appointment coming up. All Skin Types – An oxygen facial isn’t restricted to certain skin types; it will have a positive impact upon the complexion of your skin no matter what skin type you possess. There is absolutely zero recovery time required after an oxygen facial, meaning you will be able to continue with your normal routine the moment you step through the doors of our organic spa. A typical session lasts between half an hour and forty minutes. If you would like to learn more about what actually happens during an oxygen facial or how the treatment actually works, one of our team members would be glad to talk you through it. You can also make bookings by calling us on (647) 344-7451.